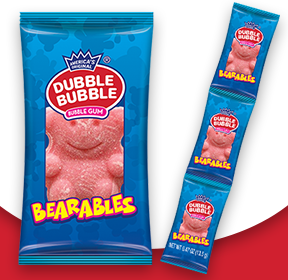 Concord, MA - Welcome our newest addition to the Dubble Bubble brand, Dubble Bubble Bearables! Almost too cute to eat. These bears are sold in stores now and come in rows of three, because three is better than one! Get yours today.